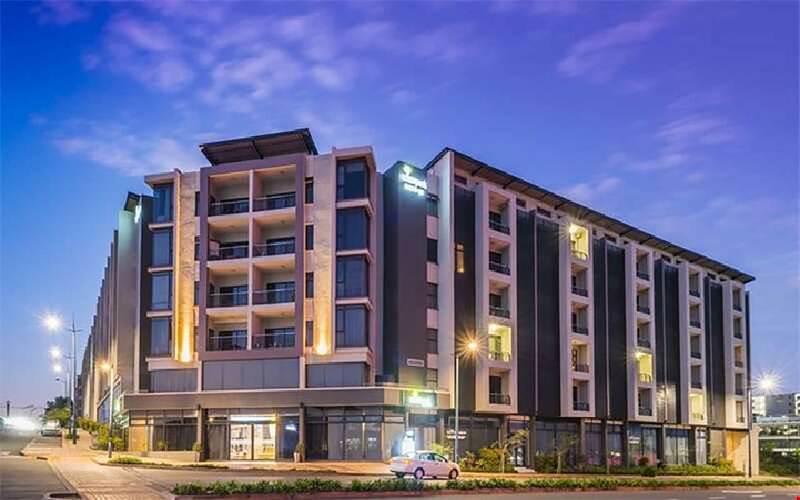 The AHA Urban Park Hotel & Spa offers luxury accommodation and comfortable self- catering apartments for short stays as well as long leases at affordable prices, allowing guests to experience the best of the north coast for as long as they need. The hotel is part of the AHA Urban Park mixed use development which consists of 160 residential apartments, retail shops, Aqua Spa, Vida E Café and cosmopolitan restaurant. With 95 self-catered apartments, complete with fully-fitted kitchens, appliances and furnishings, The AHA Urban Park Hotel & Spa appeals to both corporate and leisure guests alike. There are various luxury accommodation options to choose from: studio suites, along with one, two, three and four bedroom apartment suites. The design of the hotel is chic and elegant offering the latest technology in all rooms including WiFi, LED televisions, DVD players and iPod players. All accommodation is only a phone call away.